Clipless pedal systems became prominent in 1984 and have since become a preferred standard by experienced bikers around the world. 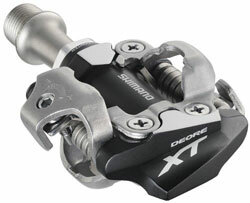 Despite its name, these pedals clip onto cleats to attach you to the bike. This helps to provide you with more power and control as you ride. Whether you prefer to cycle on smooth roads or the winding paths of a mountain trails, clipless pedals are a great option. With that being said, making the switch can be a daunting task for any rider. It’s not uncommon to see riders panic when they realize that they can’t disengage the cleat system. Realistically, new riders will fall. It’s all a part of the learning process. However, there are a number of tips and tricks that you can use to make the transition much easier. These 8 tips can be incorporated into your training routine and used throughout your riding career to make you the best clipless cycler possible. There are a few different types of clipless pedals and shoes that you can use. They’re designed to provide you with unique benefits. While they may be labeled for a specific riding style, feel free to mix things up so that you’re comfortable. 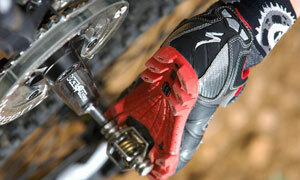 Generally, clipless systems are categorized for road or off-road riding. Road cycling systems contain three bolts. The cleat system also extends beyond the bottom of the shoe. Off-road systems only contain two bolts. Cleats are usually recessed so that you can walk comfortably. Before you hit the trail, think about the journey and decide whether or not you’ll be doing a lot of walking. 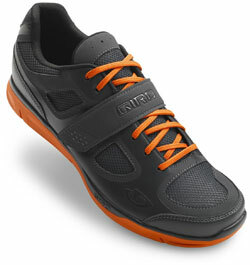 Off-road shoes are much better for walking and hold up well in muddy areas. Pedals made for experienced riders have a clipping system on one side of the pedal. This requires you to orientate the pedal prior to clipping in. When you’re just starting out, this is an unnecessary obstacle. Double-sided pedals are very similar to platform pedals in that it doesn’t matter which side you use. This will be beneficial in the learning process as you get a better feel for the mechanics. Before you ever hit the trail, you should practice clipping in and out of the pedals while leaning on a stationary wall or fence. When you’re riding, there are so many other things to think about. You’ll have to pay attention to where you’re going, the traffic around you, potential hazards, and much more. The clipping mechanics need to be second nature to you. Get the hang of things while you’re standing in one spot. The cleats on your shoe are shaped like a triangle. The top point of the triangle is facing the front of your foot. To get into the pedal the first try, point your toes down and raise your heel up slightly. Doing this will make it much easier for you to find the pedal. The foot will be in the right position to clip in effortlessly. Simply feel for the pedal by sliding your foot forward on that angle until you can’t slide any further. When you get to that point, push your heel and foot down. You should hear an audible click when you’re attached. To get out of the pedal, you need to push your heel down slightly. Then, twist your foot firmly to one side. It’s imperative that you twist hard. Clipless systems are strong and built to keep you attached. A soft twist won’t do anything but throw you off balance. It’s also important that you don’t forget to push down on your heel. On traditional platform pedals, the instinct is to lift up. 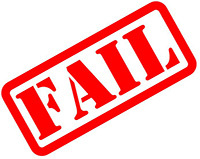 Many novice riders make the mistake of lifting up rather than pushing down when they’re trying to dismount. This often results in accidental pulling of the bike to one side and falling. 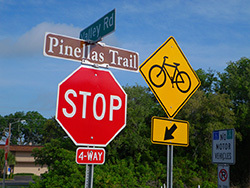 When you finally get on the road, it’s important that you anticipate stops and hazards when you ride. With traditional pedals, stopping is as easy as lifting your foot off the pedal. Clipless pedals don’t have that luxury, so you need to provide ample time for disengaging the system. When you see a stop, such as a traffic light, disengage at least 65 feet before you get there. You can rest your foot on the pedal without being clipped in. Many experienced riders even keep the cleat on the pedal and push down to engage once it’s clear to move forward. The spring tension on each pedal can be adjusted. This affects the way the cleat clips in and out. A looser tension will make it much easier to get out. New riders should loosen the spring as much as it’ll go so that they can get out at a moment’s notice. You can tighten up the spring as you get comfortable over time. Your safety and performance rely on the condition of your pedals and cleats. Pedals should be cleaned regularly to avoid damage. While this applies to all bikers, it’s crucial for mountain bikers. Dirt and debris can clog up the pedal system and prevent it from operating efficiently. The pedals should move smoothly to ensure that you won’t fall from a system malfunction. The same goes for cleats. Cleats will wear out over time due to the constant aggressive motions you make while you ride. Most cleats have wear markers that give you a better idea of their condition. Once they reach a certain point, you’ll need to replace them so that they don’t snap while you’re riding. If you want to maintain your cleats for as long as possible, avoid walking on them too much or invest in covers. While it may take some time to get used to the motions of riding on clipless pedals, the time investment is well worth it. Once you get the hang of it, you’ll never look back. You’ll see a dramatic increase in your performance, allowing you to push your limits and take advantage of all your bike has to offer.